Buy Online Now! 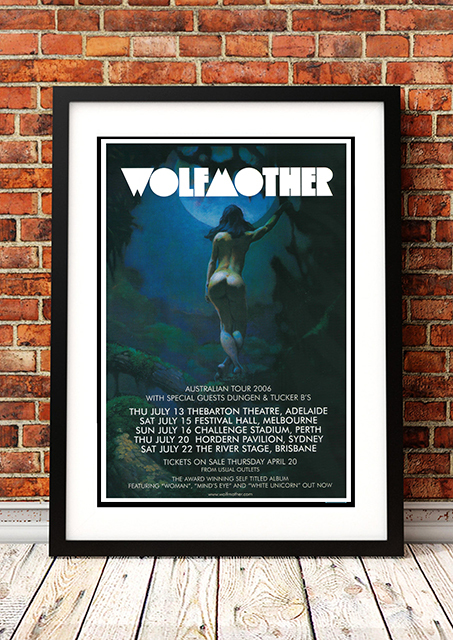 - Wolfmother Rock Concert Posters and Memorabilia. Wolfmother formed in 2000 and released their self-titled debut album ‘Wolfmother’ in Australia in 2005, and internationally in 2006, which has since sold over 1.5 million copies worldwide and won the band a number of industry awards. They are often compared to influential classic rock and metal bands from the 1960s and 1970s, including Led Zeppelin, Black Sabbath, Blue Cheer and AC/DC. 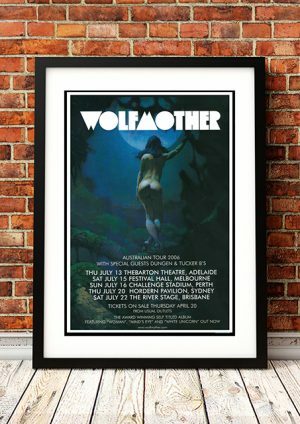 We stock a great range of Wolfmother band concert posters.